One Voice Children’s Choir, formed originally in Utah for the 2002 Winter Olympics, covered “Something Just Like This,” a song that references “legends,” “myths,” and “fairy tales,” perfect topics for a children’s choir. The magical thrills of imagination that we feel especially during childhood are depicted beautifully in this music video. 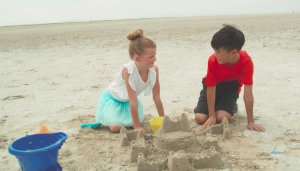 The video starts out with a little boy and girl building a sand castle on the beach. 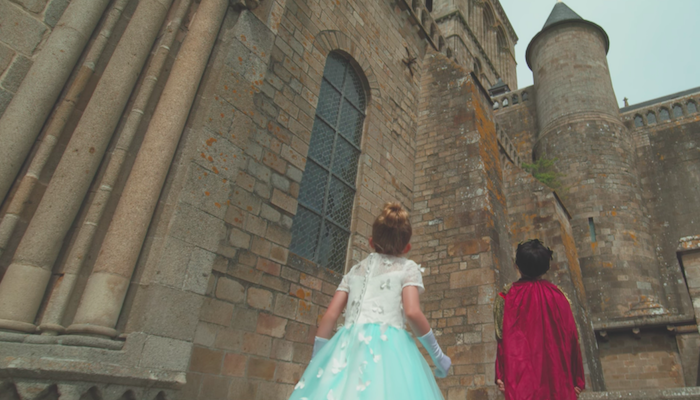 Then, through their imagination, the castle transforms into a giant one, and the boy and girl turn into a prince and a princess. With the enchanting music in the background with crystal clear harmonies provided by the One Voice Children’s Choir, the music video is nothing short of magical. Ultimately, this performance has the power to remind us what it was like when we were children, dreaming about what we wanted for our future. The One Voice Children’s Choir, directed by award-winning composer, arranger, and producer Masa Fukuda, has been achieving some notable success on YouTube within the past two years. For example, one of their music videos, a cover of “Diamonds” by Rihanna, reached 9 million views. They have also performed covers of “Rise” by Katy Perry, “Only Hope” from the movie A Walk to Remember, “Adventure of a Lifetime” by Coldplay, “True Colors” by Justin Timberlake, and many others. Most of their videos are filmed at beautiful and unique locations. For example, their “True Colors” cover was performed at a Hindu temple, and their cover of “Diamonds” was performed on the Spiral Jetty. Several children who perform (or have performed) in the One Voice Children’s Choir have become successful independent singers. For example, Reese Oliviera, Kenya Clark, and Lexi Mae Walker have already had a lot of success on their own YouTube channels. Click here if you would like to visit or subscribe to the One Voice Children’s Choir YouTube channel.